After picking our visas, we had five days before our train left from Guilin. Instead of more rest we opted for a slightly more grueling option of heading west into Guizhou Province, one of the poorer provinces of China, but one of its most ethnically diverse. Five days would five us just enough time to visit one or two villages in the eastern part of the province, with alot of time spent on bad roads and even worse buses. We ended up in the village of Zhaoxing, home to a community of Dong people. 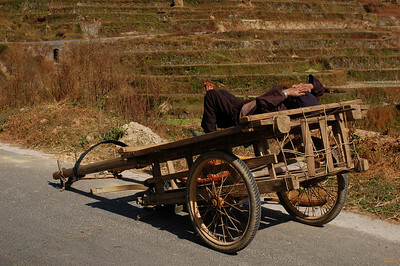 Although the village is not exactly off the beaten track, we only met a handful of tourists in our three days there. 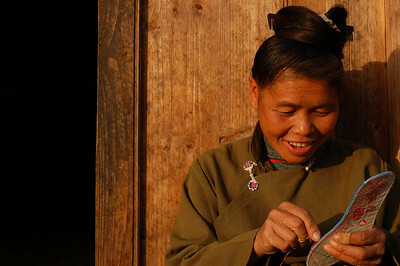 The Dong people are known as skilled carpenters, their homes are built entirely out of wood, without the use of nails. They are also known for their drum towers and wind and rain bridges, all made entirely of wood. 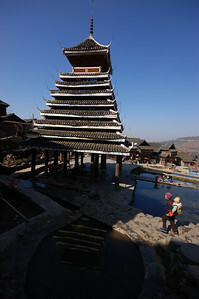 Zhaoxing had numerous small bridges and five drumtowers, which serve as social and religious centres in the community. Homes are built closely together, making the village almost entirely pedestrianised, with multiple bridges crossing the small river that runs through it. No one in the village is decked out in colourful minority clothing, something here that seems to mainly exist for the benefit of tourists, although most still wear their hair in the traditional top knot, and the older villagers wear clothing made from their hand made fabric. 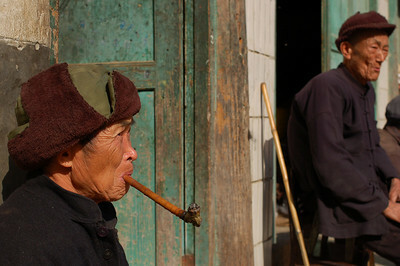 The men smoke from long bamboo pipes. The most amazing thing about Zhaoxing was how much it was brimming with activity. 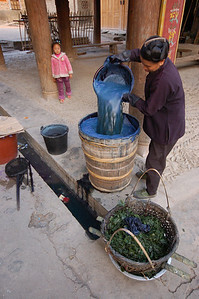 All over the village, women mixed indigo dye, made from fermented indigo leaves transported from their fields. Swaths of fabric were hung to dry from balconies, or laid out in the fields. Once finished drying women flattened the fabric with large wooden mallets. As we walked into the surrounding hills we could still here the sound of dozens of hammers resounding through the village. Women sorted through freshly harvest cotton, carried baskets full of vegetables from their fields, washed clothes in the river, sewed and embroidered. Most of them work all day with their babies strapped to their backs. 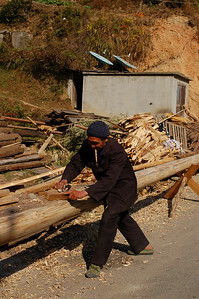 Men worked at wood carving and house building, several of which were going up in the booming village. And the older men weaved baskets, for carrying their knives, or catching rodents. At night we could here the local singing group practising next door. Two hours worthwhile walk away, uphill, is Tang'An, another beautiful Dong village. Off the main highway, it is smaller and quieter than neighbouring Zhaoxing, but no less lively. 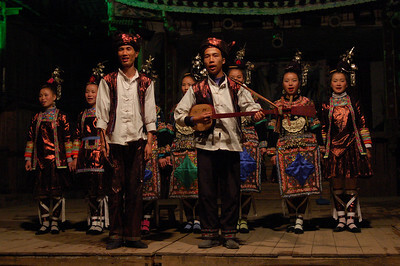 In the evening were treated to a performance, at the outdoor village theatre. 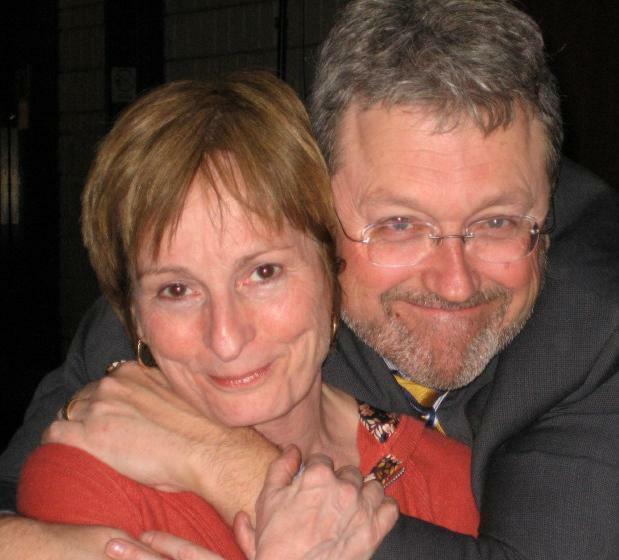 Amazing that in such a small village that could assemble eighteen people with such great voices. The performance was only slightly marred by the smoking, horking, loudly talking Chinese tour group, which, having financed the performance, we felt we couldn't do much about. Although we spent more time riding the bus getting to Zhaoxing than visiting it, we felt that we were more than rewarded with a glimpse into the lives of its hardworking villagers. This looks like a very happy society. We could all learn from them.